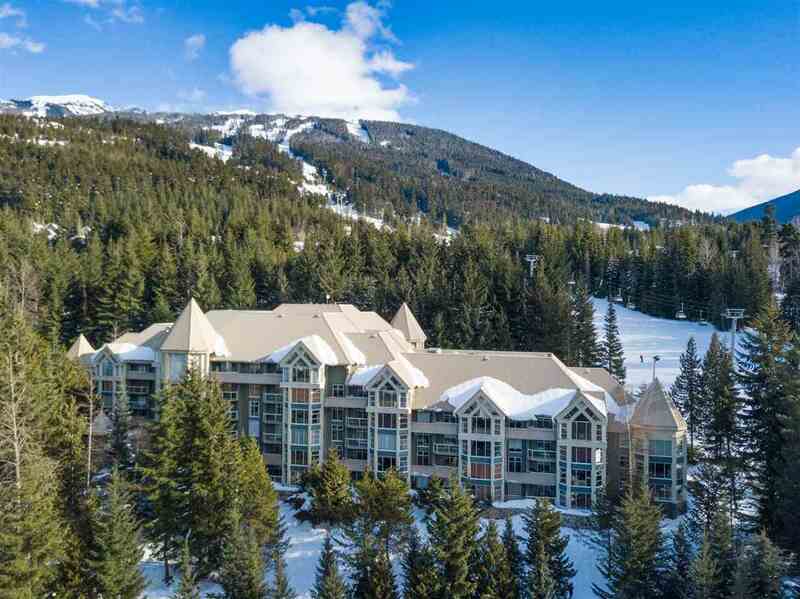 This 2 bedroom, 2 bathroom, top floor, end unit at the Woodrun Lodge Whistler offers true ski-in/ski-out to the base of Blackcomb Mountain and the Wizard Chairlift in the Upper Village. This property futures prime location, vaulted ceiling, full kitchen, gas fireplace, radiant heat on all hard surfaces, extra storage, covered parking, breath taking views and peeled logs give this property a unique feeling! The Woodrun Lodge features a pool, hot tub and fitness facility surrounded by pine trees and the peacefulness of the mountains while also being conveniently located just a short 10minute walk, or 5 minute free shuttle to Whistler Village which offers a fine selection of dining, shopping and nightly entertainment.